The Nissan LEAF is a revolutionary machine – it is the first mass produced vehicle to drive up to 100 miles with out an ounce of gas! However, because of its unique ability to be powered by a battery, opposed to the traditional gas engine, there are some concerns about this one-of-a-kind machine. The vehicle is so quiet that people fear for accidents involving blind pedestrians. If the vehicle is unable to be heard by a blind pedestrian, the pedestrian may walk into the path of the person driving the LEAF, unknowingly. 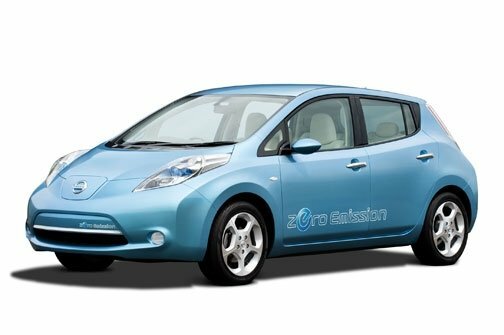 So, in order to make sure this does not happen, Nissan has decided to put a ‘whistle’ on its LEAF. When the vehicle is going under 19 miles an hour (the speed it is least likely to be heard by pedestrians), the car will make a whistling sound to alert pedestrians that it is near. Pretty cool, huh? Thank you for keeping us updated. I really appreciate it and find all the information very useful. You are welcome! We are open to suggestions for posts, let me know if you want me to post about any car you are curious about!